The freedom of religion is one of the oldest and most controversial of the claims that are recognized as forming part of the corpus of human rights. 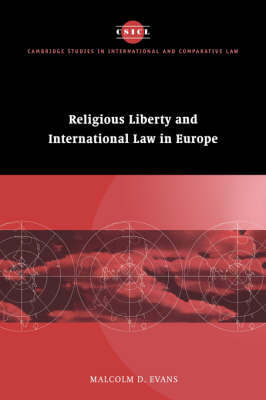 In this important and fascinating book Malcolm Evans provides a detailed account of the ways in which the freedom of religious belief came to be incorporated into the legislation of the countries of Europe. He goes on to examine the mechanisms by which this freedom is guaranteed, and a number of problematic cases which have recently been discussed in the Council of Europe. In a concluding section he outlines a number of developments which will influence the direction that the search for the protection of religious liberty under international law may take.